Neelam completed her LLB at The University of Birmingham in 2002 and her LPC at The College of Law in 2003. Neelam worked in private practice before joining a global recruitment consultancy in 2005 where she was mainly responsible for in-house recruitment. In 2013 Neelam took a career break to have a family and returned to recruitment in 2017. She has 10 years of legal recruitment experience. Her clients respect her commercial and tenacious approach; Neelam has built strong relationships across multiple sectors in the Midlands. 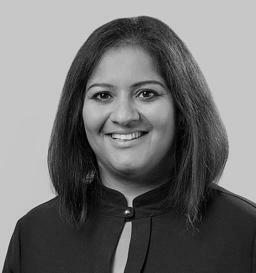 Neelam joined BCL Legal in 2019 to work across the Midlands – recruiting lawyers into in-house organisations. Neelam and the in-house team are committed to helping develop the sector and the legal professionals who work within it. As part of this commitment, Neelam and the team regularly run CPD accredited training courses in conjunction with Birmingham based law firms. The courses range from legal updates to ‘softer skill’ developmental programmes. Over the past 15 years BCL Legal has become one of the leading legal recruitment consultancies and in that time the in-house team has placed over 2000 legal, company secretarial and compliance professionals in-house.